It seems like every time I set out a well balanced blog schedule, get myself super organized, something comes up and I've got to switch it all around. Every. Time. It's like some sort of mildly irritating curse... 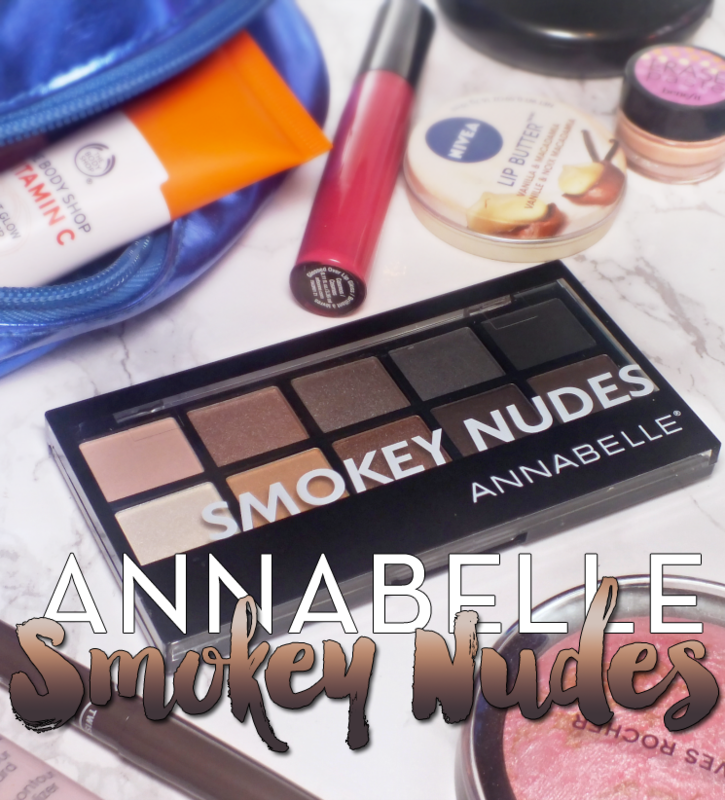 Anyway, it means you get to behold the beauty that is the Annabelle Smokey Nudes Palette a few days earlier than I planned. Like your nudes smokey and your smokey with an e? Read on! 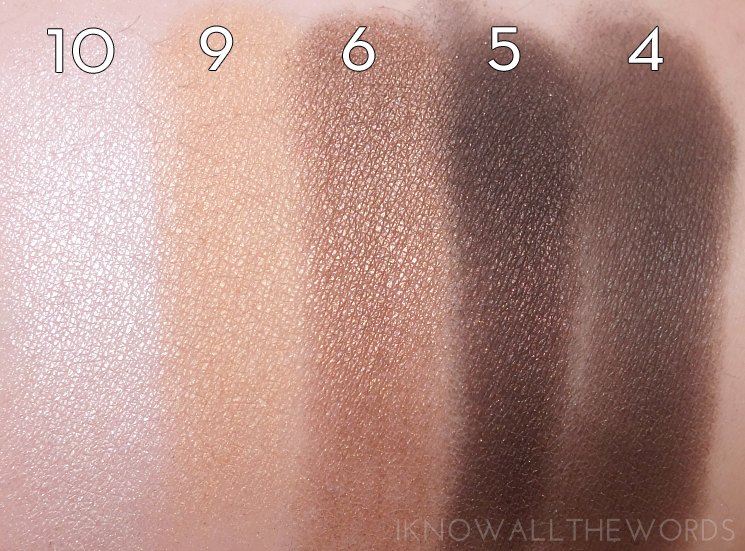 I think every beauty fan knows drugstore eyeshadow can be a guessing game. Hit and miss best describes the whole game, but I am very happy to report that Annabelle has done drugstore shadow pretty well. More on formula in a moment though. The Smokey Nudes palette is all plastic, pretty no frills with no mirror, but does feel relatively sturdy and like it won't shatter if accidentally dropped. The closure is really secure, and you can easily see all the shades through to lid. The ten shades within the palette range from soft neutrals to smokey and deep, The shade textures range from matte, to satin, and a frosty-shimmer. 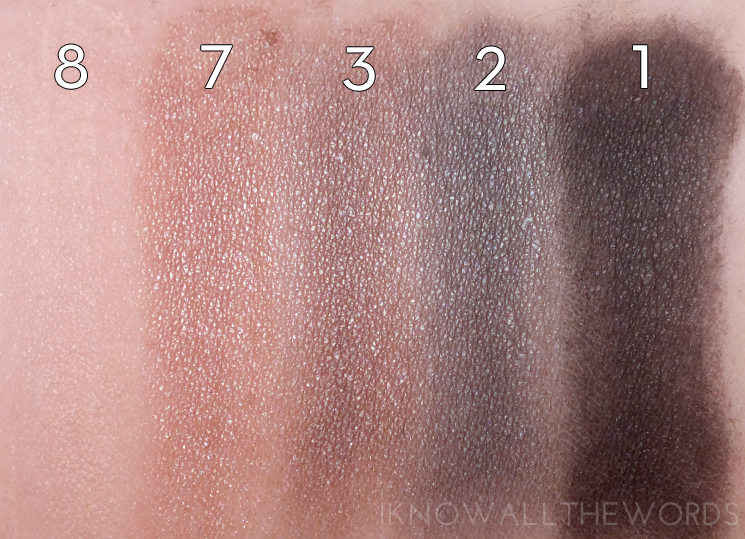 While there are only three mattes shades, the satins and frosts aren't overly shimmery and there is no glitter happening anywhere. The shades all work well together (in both colour and texture) and will suit users of pretty much every age. The shades aren't named, but are numbered, although their sequence is all over the place. I'm not quite sure what that's all about, but I've labeled the photos to try and make things a bit more cohesive. Matte black. A deep, opaque black with a smooth formula that applies really well. Blue toned grey satin. Very nice formula, smooth and easy to blend, Fells a little bt stiff, but applies well on the eye. Satin taupe. This shade looks like it should read more shimmery, but is quite subtle. This shade is a bit more sheer with a stiffer feel, but works well on eyes. Deep neutral brown matte. Another shade that feels firm to the touch, but performs well on the lid. A touch patchy but blends easily and creates a deep smokey crease. Golden bronze satin-shimmer. A smooth and buttery formula with great pigmentation. Light golden brown with light shimmer, this shade is a bit more sheer, but layers well and works as a lid shade. Matte pale pink. This shade is very sheer, powdery, and really not a shade at all. This is best used for blending and smoothing out edges. Satin yellow gold. Smooth and easy. Applies well and isn't too warm. White frost. This might just be the most intense shade of this palette. A little bit goes a long way. 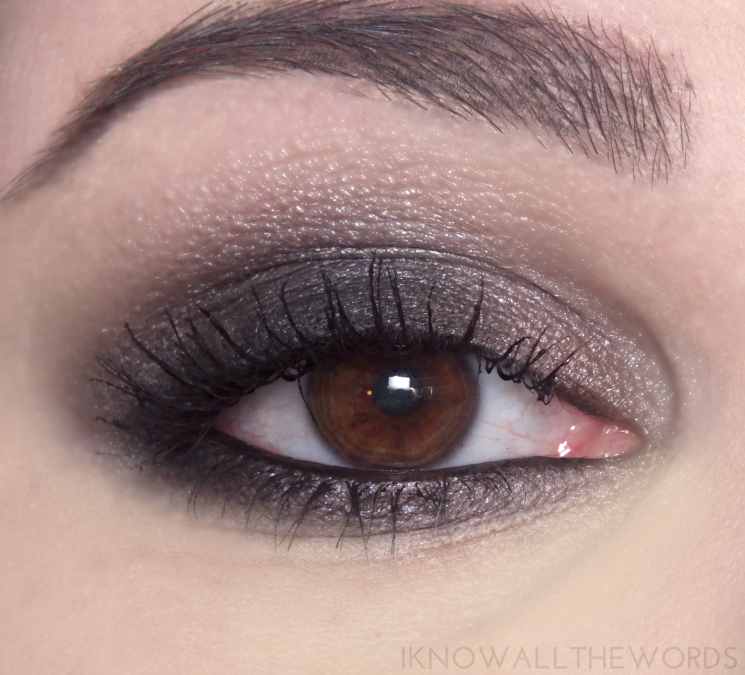 I don't usually do a typical black/grey smokey eye, but I was interested in seeing how the deepest shades performed. 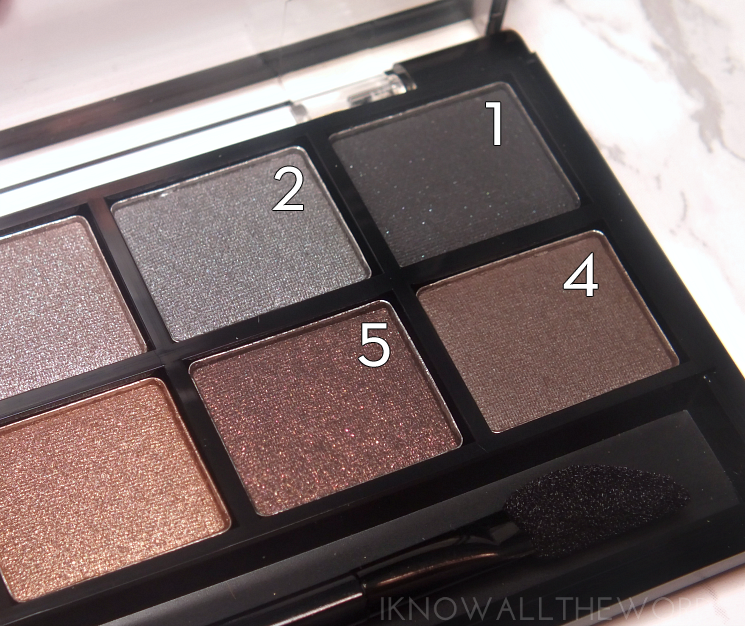 I created the Maximum Impact look from the back of the palette, which uses taupe (3) on the inner corner, black (1) on the lid, and grey (2) in the crease. I added a bit of the matte pink (8) as a brow hihglight and to blend out the grey. I was really impressed with how easily the shades come together and that I didn't have to blend much for a really great smokey look. A bit of black liner and mascara and you've got a really easy (and quick) look. Overall, I quite like this palette! I'll admit, I had my reservations, especially so after swatching, as some shades didn't feel like they had the best texture. This is definitely a palette that performs better than it swatches, as the only shade I had any issues with was the pale matte pink. I was impressed with how little fall out I experienced (especially with the deepest shades) but still recommend applying foundation/concealer after shadows as there is a little. 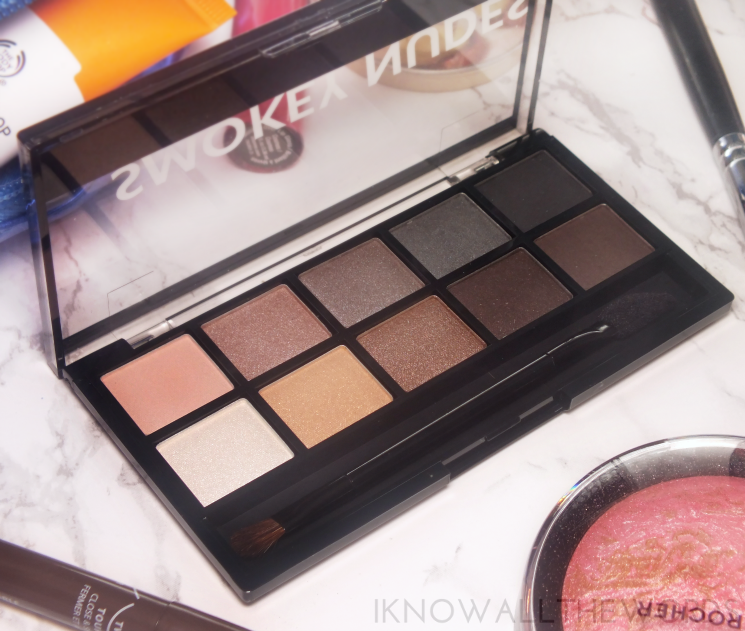 While these shades aren't dupes for the UD Naked Smoky palette, there are certainly similarities to the first UD Naked, making this a decent option should you want a more budget friendly palette (and a smaller stature for on the go.) Are you into smokey looks? 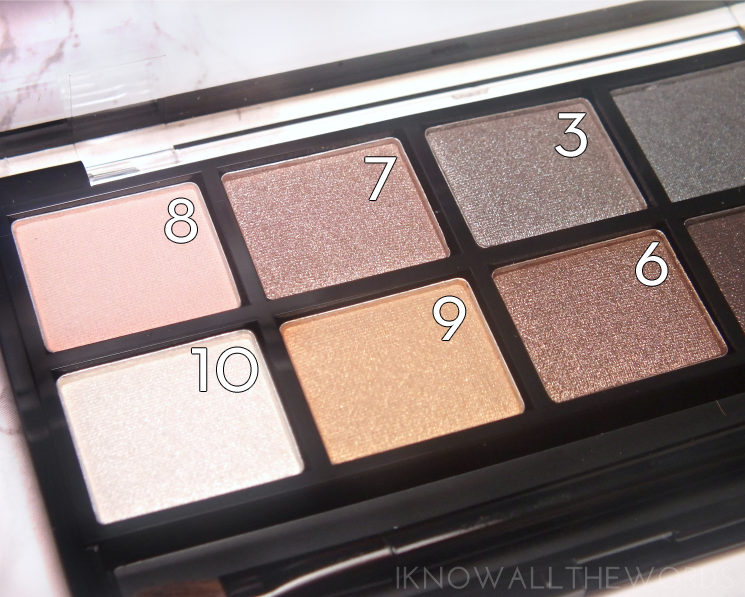 What palette do you reach for most often?